Do you love the appearance of Brazilian black slate and want to introduce it to your home? Brazil is famous for many things: from its party culture and beautiful beaches to the statue of Christ the Redeemer; it is also the world’s second-biggest producer of slate, one of the world’s most popular building materials. With its smooth riven surface, Brazilian slate is available in a wide range of colours, with black being one of the most popular. Easy to clean, naturally water-proof and very hard-wearing, this building material is also extremely practical. Creating both a classic and contemporary look, slate can bring irresistible class and style to any space. Particularly popular in kitchens, it’s also wonderful for creating stunning outdoor spaces. 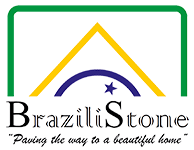 Brazilistone has a premium range of black slate tiles, which are sourced and imported with the greatest care imaginable. Whether you’re looking to install this type of product indoors or outdoors, we have black slate suitable for all sorts of applications. Our indoor slate tiles are available in a wide range of styles and sizes to suit your needs. We can provide Brazilian black slate tiles and paving slabs that are tailored to your unique requirements. With our price match guarantee, you’ll know you’re getting the most competitive price. 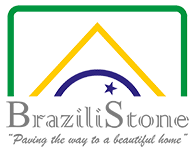 For more information, simply browse our range of products today.